Specially designed for working on mobile elevating work platforms (in accordance with CNB/P 11.074), this lanyard is based on a robust strap and includes an integrated energy absorber, a carabiner hook for attaching the lanyard to your personal protection kit and a pipe hook. Is it 1.8 m long and can be flexibly adjusted. For individuals weighing up to 140 kg. 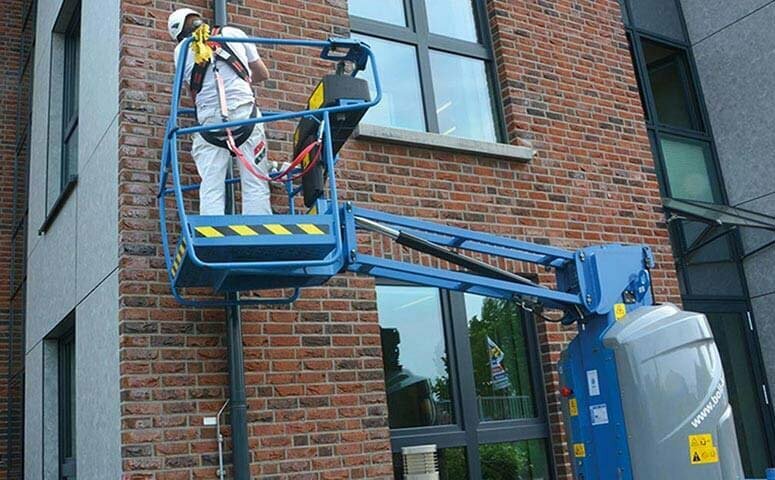 Our ABS Lanyard - for mobile elevating work platforms can be used to secure workers & Co. working at heights from lethal falls. The retaining cable of this model has been tested and certified in accordance with EN 354 and is equipped with an energy absorber in accordance with EN 355. In the case of a fall, the textile energy absorber stretches to a pre-defined length, thus minimising the ensuing force to a maximum level of 3 kN. 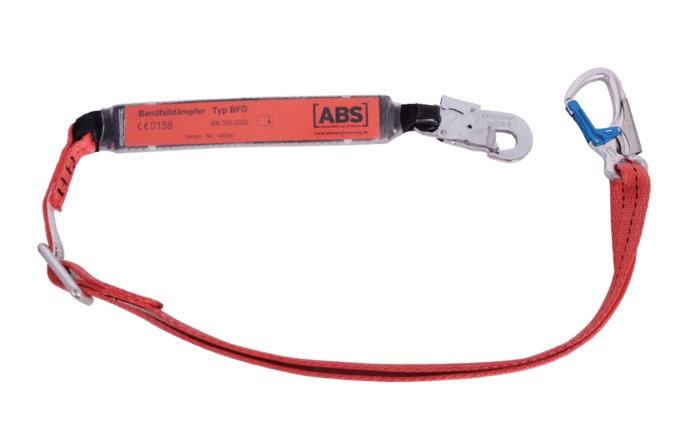 Our ABS Lanyard - for mobile elevating work platforms is based on a robust strap and is suitable for securing individuals weighing up to 140 kg (including clothing and equipment!). The strap can be adjusted to any length between 140 and 180 cm. Our ABS Lanyard - for mobile elevating work platforms is equipped with a carabiner hook for attachment to the safety harness of your personal fall protection kit (PPE) and has a specially-designed pipe hook at the other end - features that make this an extremely popular solution in the steel construction industry and similar trades. 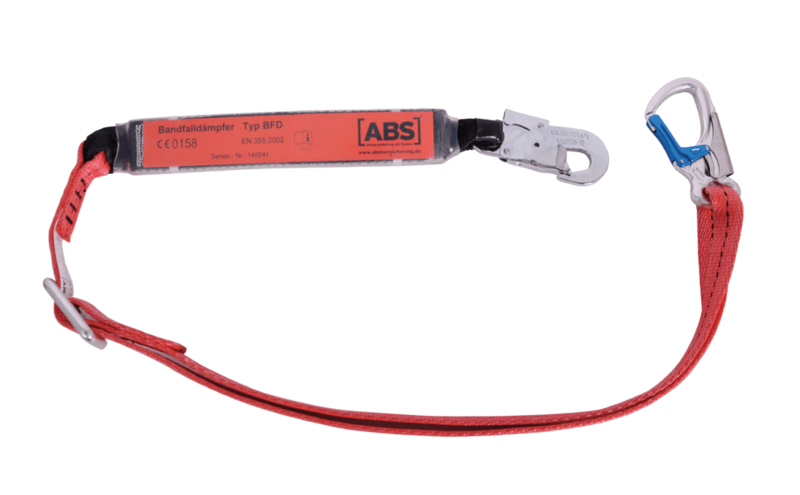 This special ABS Lanyard model has been tested in accordance with CNB/P 11.074 especially for usage on mobile elevating work platforms. This retaining cable solution can reliably secure one individual working on a girder or platform - or during any installation or maintenance work carried out at perilous heights.